Date of publication: August 14 2014 . Everyone has long been understood that the Swedish Furniture giant rose to indecent enormous size. And ... not going to stop. It would seem that you can still figure out how to attract buyers. 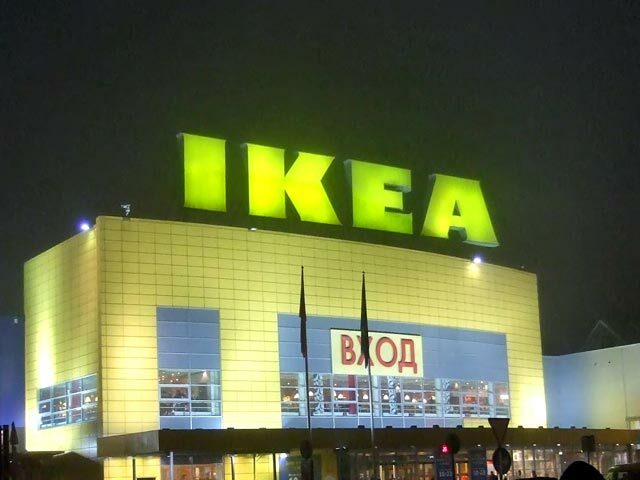 IKEA has increased the working hours of Moscow stores. Now visit point of saleTo purchase anything from furniture and accessories, made possible with 10 2 before midnight. This means that more and more desires in a stylish arrangement of their homes will be satisfied. However, IKEA will guide funding objects that are located in Solnechnogorsk district. Recall that last week in the face of the district head Alexander Yakunin, on the one hand and the Deputy Director General of IKEA David Goossen was signed investment agreement. According to it, the company will invest about 6-five billion rubles to be spent for construction and renovation work at the facilities owned distribution center "Esipovo." As part of future activities, along with the expansion of the furniture factory is planned to build a transport and logistics center. This ambitious project will be held for the benefit of themselves and for the benefit of others. After all construction events take their jobs more 300 employees. Despite the unfavorable situation in the field of international relations, the company IKEA in its endeavors to actively support the administration Solnechnogorsk district. As stated by Deputy Head of Investments and Innovations of the district administration, they see in IKEA disciplined taxpayer, which considerably enrich the district treasury. Also recently introduced sanctions against the import of European products in no way affected by the Swedish restaurant and shop products, geographically located in the IKEA store.